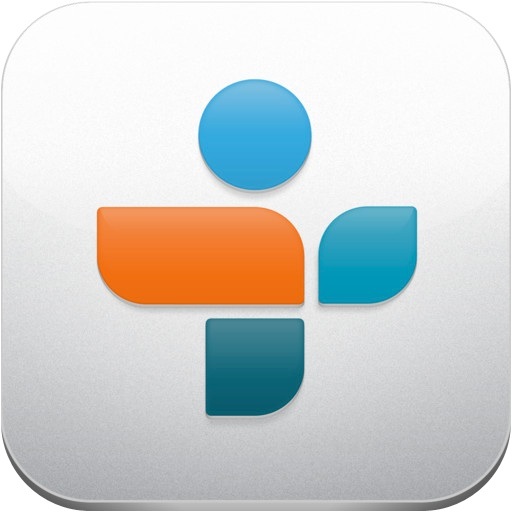 The world's radio stations on your iOS device; in a nutshell, that is exactly what TuneIn Radio delivers. There is also a very useful car mode, which does away with the prettiness and replaces it with large buttons for all the major functions. In a way, it seems amazing that an App for playing music from radio stations is actually more comprehensive than a radio but, TuneIn Radio really is that good. The App is free and subsidised by discreet advertising. There is a Pro version (for a one-off modest charge) that not only removes the advertising but also allows you to record as well. It's just a great way to listen to radio broadcasts. Provided your Internet connection is sufficient, the quality of the broadcast is excellent. A radio that's better than a radio. You can get TuneIn Radio here and support for the App here. In the words of the developer: "Our real world revolves around our interests, and the people with whom we share our interests. We have parties to plan, memories to share, kitchen to remodel and yes, in a few months we will have taxes to file. At Moxtra, we set out to create a solution that lets people view the world their way, and not defined by the solution they use". You might also think of Moxtra as a filing cabinet where you can place all sorts of documents (including pictures and audio), into individual files (but not as limiting as paper ones). These binders (to use the Moxtra terminology) you can then either keep to yourself, share with others on a 'see only' basis, or allow selected others to edit the contents of your binder(s). The first thing you need to do is sign up via moxtra.com, or use your Facebook account. You are now greeted by a series of folders (with the appearance of books), which consist of a default, a quick start guide, three samples and a virgin binder. You are now ready to chuck things in... and part of the beauty of this system is that you can do exactly that because 'pages' are easy to reorganise. This can be either a sketch, (with many writing implements, arrows and the availability to add other elements), or notes, where the emphasis is on text. These are separate choices; you need to let the App have access to your photos/videos in your privacy settings for these to function. Just enter the url and then snap an area or the whole page to your page. This is extremely helpful. This enables you to install Moxtra Desktop on your PC or Mac and make them remotely accessible. Perhaps (almost) the most powerful option of all. This enables you to access documents in Dropbox, Evernote, Google Drive and Box. Now all these documents are also available to you. Once you have the desired content on your various (individual) pages, Moxtra allows you further editing, including the extremely important facility to, very easily, change the order of the pages. 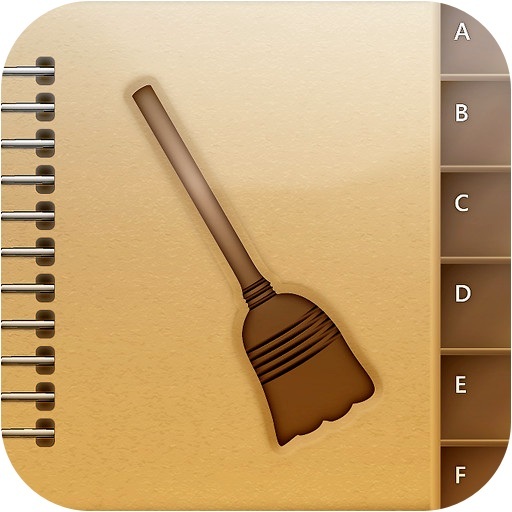 If you're looking for somewhere to keep disparate items, be able to edit and reorder them (unlike a book), this is a great App. Apart from the App occasionally quitting unexpectedly (without loss of data), everything works perfectly. You can log in with Facebook which would give Moxtra access to your public profile, friend list and email address. Like a clippings book but much more versatile. You can get Moxtra here and support for the App here. Oh no, not another sketching/drawing App, I hear you say. Believe me, this one is different. The graphics and some of the concepts are truly unique. Before starting, it's a good idea to quickly get familiar with the commands (this will save an enormous amount potential of frustration later). You are now ready for your first masterpiece on a blank canvas. It is simplicity itself to choose your tool, colour, and fill effect... then let your inspiration take over. 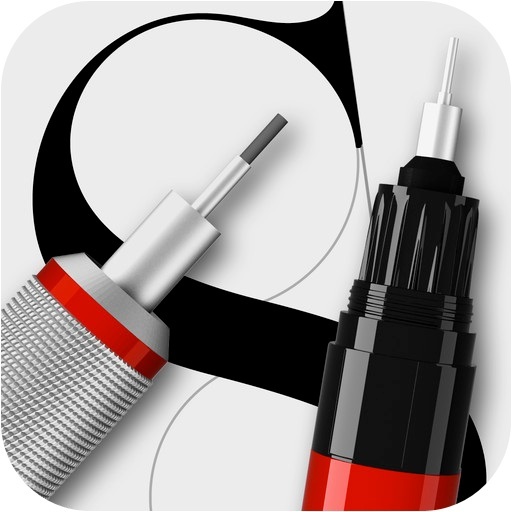 As an example, the brush with its ability to overlay strokes is extremely realistic. The share function is just brilliant. You place your sketch in an envelope and then place the stamp(s) (Facebook, Twitter, Photo Library, Email) on the envelope. It really is beautifully executed. The App only works on an iPad running iOS 6.0 or later, and only in landscape mode. This is no surprise really as the beauty would be somewhat compromised on a smaller screen. The basic version of the App is absolutely free. The 'Professional' version, which includes more tools and sizes, as well as a brush editor and colour eyedropper is a very modest cost purchase. The developers also allow you to try the Pro version free for an hour; nice touch. If you need good control for your sketches, this is definitely worth considering. The App works as stated, but make sure you read those instructions for the basic commands. The usual caveats apply for sharing otherwise, there are no issues. Hope your skills live up to the App. You can get Tayasui Sketches here and support for the App here. If, like me, you are squirrel and find it difficult to throw things away... even if it's euphemistically called recycling, chucking an iPhone/iPad is just too wrenching. That said, if you carry out your own recycling and use the old iOS device as 'just' a media server (posh way of saying you only use it for music and/or video(still or not)) then, you need to do a bit of housekeeping. The first part is to delete all the things you do not want. This is straightforward, except for your contacts. The Contacts App, like many others, is part of iOS, so cannot be deleted itself. In their infinite wisdom, Apple have not provided a simple way to delete the content of your contacts. Drum roll, fanfare, enter Spring Cleaning. Your contacts are listed. Either choose your contacts one at a time, or use the tick at the top left of the screen to select them all. A counter at the bottom of the screen will confirm how many have been selected out of the total number in your contact list. Press 'Delete' when you are happy. You will still have a chance to change your mind. It's as easy as that... all you have to do is wait for the operation to complete, which could take a few minutes, depending on the number of contacts and ancillary information you have stored. The App is free as it is an example of the work at Newton Academy. If you're 'recycling' an iOS device, this is an absolute must. The App works fine but, a word of warning. If you do not allow Spring Cleaning to access your contacts, you're in for a very frustrating time. If you did not accept the access when first launching the App, go to Settings/Privacy/Contacts and ensure Spring Clean has access. Be careful when deleting that you have a backup... just in case. You can get Spring Cleaning here and support for the App here. Groupon have come a long way since their launch in Chicago in late 2008. If you're looking for the 'deal of the day' then, this is an excellent App. In a nutshell, there are various offers and you get to buy them, thereby getting some great deals. The first thing is to either allow Groupon to use your current location, or pick a town (in a given country). The home page shows you various 'topics' such as featured, goods, getaways, shopping, or travel. These appear to change, depending on your location and also show the number of times that they have been bought. In order to 'buy' and of these offers, you will need to log-in, either with Facebook, or create a Groupon account. You then simply choose the offer you want to purchase, entering a promo code, should you have one. You then receive your voucher. As a rule, the voucher cannot be used before the following day, and other limitations are clearly stated. You can also access your profile, so as to receive emails for the topics and places that are likely to be of interest to you. Both the App and registration are free. Any coupon you purchase can be paid for by Visa, MasterCard, or PayPal. It's a good way to discover new places to eat (amongst other things). The App is easy to navigate and populated with enticing pictures. There are occasions though when attempting to access further information (such as a restaurant menu) will lead you to a blank page. The usual caution if logging in with Facebook apply, as well as sharing information. Try it, you're in for an unexpected treat. You can get Groupon here and support for the App here. "A Stamp is the unit of content you create on Stampsy. It can have up to 10 pages. A background grid helps you create well-balanced designs". The developer also advises that "Stampsy is a sharing platform for people who produce compelling digital media content"
The truth is that the items published really are aesthetically pleasing. The opening page is the kiosk. Here you can check who the top publishers are, as well as any people you may know (you need to share your Facebook friend list). You can also choose subscriptions (people you follow) and subscribers (those who follow you). You can also check through recent postings. This is just a reminder that Stampsy defines a stamp as being one unit of content, and there can be up to 10 pages. Here you choose from the various tools on offer. Down the left of the screen you choose from text (headline, subtitle etc. ), media (image or background), or shapes (rectangular or elliptical). The right-hand side of the screen gives you control over colour, fonts, and columns. In order to enter information you need to remember that this is drag and drop country. Drag the tool from the left of the screen and drop it onto your page. Once you get the hang of it, there'll be no holding you back. This is really just fine tuning the work you have already done. Here you let others admire your handiwork. If you are not yet ready to share your masterpiece, just leave the editor and come back to it later; it will automatically be saved as a draft. Obviously, you can preview your work and edit it, as required. You can also backup your information to Dropbox. Let others know where to find your Stamps. Each Stamp is given a unique url, so you can distribute this as required. I guess it depends whether or not you need to be inspired by the graphical work of others. If you do then Stampsy is a great place to be. Here's an example of 'one I created earlier' http://stampsy.com/4157 ... it didn't take long to do and no, I won't give up my day job. There were no issues with the App, although connection with Dropbox was lost and then needed to be reauthorised. If you have many photos on your iPad, then Dropbox becomes a necessity, as it will be the easiest way to select photos. You can view 'stamps' without logging in but, if you cannot create from an iOS device without logging in. Access is granted through your Facebook account where you have to agree to Stampsy accessing your public profile, friend list, email address and news feed. You can get Stampsy here and support for the App here. Caramelized is a taster (apologies for the pun) for cookbooks. It is beautifully presented, although it also has certain idiosyncrasies (I guess all chefs do). From the home screen you can install some excerpts from 8 different cookbooks. These then give you a sample of their contents. Taking as an example 'The best seafood from the cold clear waters of Norway', you are presented not only with recipes but also detailed information. This includes basic hygiene, required utensils, wine with food, and a host of other topics. There are some beautiful photographs that really make this a pleasure to peruse. A minor quirk is that the font sizes are not identical across all pages, and the pages are not 'pinch-able' (so you can't resize them). There is no charge for the basic app and the tasters. To receive full contents, you need to make in-App purchases. I guess it's easier to clean a greasy finger mark off your iPad screen than from a paper book. The App only works on an iPad and only in portrait mode. Some of the books, despite a title such as 'Very British - Kiss Me Cakes' are actually in German. Just a taster for the real thing. You can get Caramelized here and support for the App here. This is an extract from the developers' home page; they do themselves proud with not only the concept but also the delivery. The App starts with "I want to learn" where you pick from one of the fifty languages on offer, and then displays "I speak" and you again chose from the list of fifty languages, this time your native tongue. The lessons are divided into groups of ten. You will 'only' have access to thirty of the listed hundred (unless you have upgraded). Each of these groups of ten is then subdivided into a further ten topics or situations. In due turn, picking just one of these items leads you to be able to see a word list which includes audio for correct pronunciation. There are also flash cards, tests (multiple choice, word order, bubble game, fill in the blank, as well as a reminder that February 21st is International Mother Language Day). This again has a gamut of topics, ranging from feelings to large animals, via abstract terms. Choosing any from the list (again with the restriction depending on upgrade), brings up a further subdivision. These include images (so that your mind makes the link between the picture and the word), word list (similar to images but as a list), reading comprehension (where the word is available and you test yourself if you remembered the correct image), and listening comprehension (here the word is spoken in your native language and you choose from four words in your target language). Here you are shown images for five seconds and one 'disappears'. You are then given three words that describe the missing picture. You choose the (hopefully) correct one. Your score is shown at the top right of the screen. You can select the difficulty level in the settings, so as to set the number of images, neuter of options, and time. Masses is information about flags, countries (including national anthems), languages. This is in your native language but great fun. This does exactly what it says on the box. You then choose one section at a time and hear a word/expression in your native language, followed by twice in the target language, once by a male voice and once female. It is a bit of the shame that you cannot simply cycle through the 30/100 lessons so that you can fall asleep to the sounds of a foreign language, although there is a workaround for this (let me know if you need it). Just enter a word expression and either allow the App to detect the source language, or choose it yourself. The target language, by default, will be your native language but, again, you can choose whatever is appropriate for your needs. In addition you can create a study plan by adding words to your flash cards. This might all sound a little complicated. In fact it is extremely straightforward but very comprehensive. There are three levels of purchase. The first one is free and covers a very adequate 30 lessons in 50 languages. The next level, for a very modest one-off fee are a full 100 lessons in any one language. The whole hog is 100 lessons in all 50 languages for only a fraction over three times more than the previous version; I would suggest you go for this one. If you travel, you will know that people always appreciate that an effort is made to speak their language. This is a very effective and inexpensive way of enabling you to get some basics. I found no problems with the App. I would however suggest that you complete all the downloads you might need before travelling. This has two advantages... you can start practising, and you won't get frustrated with slow (not to say useless) download speeds in some hotels and the like. The usual caveats apply if you post your scores via Facebook or Twitter. Great value - in any language! You can get 50Languages.com here and support for the App here. When I first looked at the Learnist App I thought it was akin to Facebook meets Agony Aunt; in fact it is rather more than that. The developer tells us "Learnist makes sharing what you know and learning from others fast and easy by remixing anything on the web like videos, ebooks, maps, blogs, podcasts, surveys and more into a simple and elegant learning resource on any topic that you can share with anyone. Learnist is like a collaborative, multimedia and interactive ebook from the future.". This is a rather more accurate reflection of the raison d'être for Learnist. The Icon at the top left of the screen allows you to check your profile (including following and followers). You can stop getting information on a topic just by touching the board title. The plus icon (looks very much like a Swiss flag to me) at the top right of the screen allows you to add a new board, compete with category choice and description, thereby allowing you to publish and share your knowledge. This new 'Learning' (not my choice of word but, very obvious, nevertheless) can then be based on camera, gallery, or url. You can then add an image to your board and choose to share and/or follow the board, as well as entering a comment. You can then add additional learning to this board, as and when appropriate. Learnist is a great way to find information on a topic in one place. The App is free, as is signing up and creating an account. Learnist will not give you every little bit of the information on a topic in one place but, it is an excellent start, so as not to be overloaded. The App worked well, although it did unexpectedly quit a couple of times. I could not find a way to delete a board once it had been created with an iOS device. This necessitated using the web interface on a PC. The usual warnings apply if you sign in with your Facebook account (where you authorise access to your public profile, friend list, email address, and photos). The alternative is you need to give your full name and email address. This could just be a major step forward, if universally adopted. You can get Learnist here and support for the App here. The Swiss people are again being asked to cast their votes in the most democratic of countries. A proposal by the right-wing Swiss People’s Party that the seven-member cabinet should be elected in a nationwide ballot. Currently the cabinet is (re)elected annually by parliament. This is obviously a democratic process and, most importantly, although there is much horse-trading (but only really when a Federal Councillor needs replacing), the elected cabinet reflect the linguistic and political views of parliament and the people, as accurately as possible. It is anticipated that this initiative will be rejected. Surely (if this happens), this is a superb case of democracy at work. Parliament amended the law on asylum in Switzerland. This amended law gives the federal authorities increased powers to streamline and speed up asylum procedures, as well as scrapping the right to apply for asylum at Swiss embassies abroad and explicitly excludes conscientious objectors and deserters. It is anticipated that this will be confirmed by the people. This is a bit of IT cannibalism as this is a review of an App which specialises in reviews. The difference with AppXpert is that you are the reviewer, and even get paid for your efforts. There are really two ways of earning, one involves getting about £0.15 per review and also XP points, which bring only kudos (such as badges, higher ranking). There is a listing of (potentially) available items to review; these will change over time. As an example there was one for Booking.com where one could earn £0.15 and 20 XP points. Having downloaded and tested the App you then return to AppXpert and answer a multiple choice question, which 'proves' that you have at least looked at the App (or made a lucky guess). You are then invited to score the App on various criteria (in this case six), as well as to give written feedback. The scoring system (in this case at least) is 1-5 and one assumes that 1 is low and 5 is high; this is not made clear in the instructions. The App is free and you get paid to review, although this part has not been tested. I don't honestly think that the App can be described as being indispensable but, if you have nothing to do, or just want a distraction, why not give it a go and earn a few pennies. The App works; the real dependability issue is about the payments that you should receive. I have not tested this aspect. In order to have a complete profile, you need to give your name, email, gender, age group, region, and employment status. In order to receive invitations you need to enable push notifications, although you can also go to the App and see what is available. A good distraction and potentially lucrative. You can get AppXpert here and support for the App here. Used the App to book a taxi and then, even pay with the App. These together with a host of neat features make this a great App for taxi users. The only downside is that it is currently only available in about 30 German towns, as well as Vienna (Austria), Zürich (Switzerland), and Washington D.C..
First off, you need to register, which is not a surprise as otherwise some comedians would play havoc with innocent taxi drivers. When you come to use the App, simply confirm that your pick-up address is your current location; if it is not, enter the appropriate address. You can choose to be collect as soon as possible, or at an agreed time. You’ll know which taxi is yours as the confirmation includes the vehicle registration number, as well as the name and mobile number for the driver. The really neat bit is that you can actually track the whereabouts of the taxi coming to collect you; this is especially useful when there are traffic jams and you can walk one block and save masses of time. The App allows you to save your trips, have favourite drivers, and even calculate (estimated) fares. There is no charge for either the App, or the service (obviously, except the fare). If you've looked for a taxi in the rain and got wet, this could be a solution. The registration process involves you giving your name, address, telephone number and email address. Can't wait until it's more widely available. You can get mytaxi - The Taxi App here and support for the App here. If you use Outlook, as well as various other mail clients, you can know when your email is opened (obviously it is assumed that it is read). There is no such facility within the iOS email App. This neat little utility allows you to have a better idea of the fate of your message. The end is achieved by embedding an image in your email and then checking it is accessed, which it will be when your email is opened. You need to firstly allow push notifications in your settings, with the usual choice of alert style (none, banners, alerts), as well as whether or not to use badge icons, sounds, and allow viewing in the lock screen. This is a once only setting, although you can obviously change it whenever you want. You write an email from within the App, in the normal way, except that you are prompted for the subject of your email (rather than just entering it). You now have the standard address choices and the text area. This includes the warning to "Write your email above here as usual. This is the tracking image. Do not delete. This image will automatically change"
You then send your email exactly as usual. Once the email has been read, you receive a notification that "This email has been read once", or more, as appropriate. The only thing the recipient sees that is not as usual is the (image) text "This email sent by iTrackMail" and if the recipient clicks on it he will be taken to the App order on iTunes. The App is free and is effectively subsidised by the "This email sent by iTrackMail" image which is displayed. You can choose to upgrade, for a modest fee, and this message will no longer be visible. This depends on your view that a message was displayed/read, and the knowledge that the system is not absolutely foolproof, so you may think a message has not been received when in fact, it has, and vice versa. As stated above, you cannot be 100% sure of delivery but, it is an excellent indicator. It also appears that any signatures that you have set will not be automatically to your emails, so they will need copying and pasting. There is the question of your email being tracked but, far more important, and possibly of far greater interest to you, is the delivery information. When you revive a read notification, you can select it and get information on the date and time (obviously) but also IP address, browser, country and region. As you have the IP address, much more (and more detailed) information can then be obtained from a third party. Use with care but the IP address is real snooping. You can get iTrackMail here and support for the App here. Have you ever heard music and racked your brain to remember what it is, or can’t get a tune out of your head. This is a great App to help in both those situations. SoundHound “listens” to music (including your singing and humming) and tells you what it is. To use the App, you simply press the SoundHound and point it at the music. SoundHound now displays ‘Listening’ followed by ‘Receiving’ and then displays the name of the song and artist, with links to look up the lyrics. it really is just as simple as that to use in the sound to text direction. The App also works the other way around. You can find a song by title, artist, or lyrics and then be taken to iTunes for an audio excerpt. The App also gives you information on what’s hot, recent discoveries, most tweeted, and interesting info. The App is free and subsidised by banner advertising or, for a modest fee, you can upgrade and cut out the advertising. It's not indispensable but, it is very useful and could well stop a few arguments amongst music buffs. The App works well with recorded music. It's got more of a challenge with my singing (as has everyone else). It could be a great party game toy where you sing and if the App doesn't guess, you have to pay a forfeit (or many other variations on a theme). You can get SoundHound here and support for the App here.